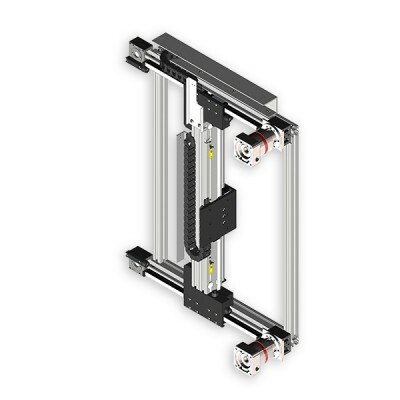 Macron Dynamics, Inc., a manufacturer of linear robotics motion systems and automation components, recently introduced two new products to their T-Bot and H-Bot gantry robot product lines, the TBG-12 and the HBG-12. The new products are smaller, lighter, and designed to complete difficult jobs both efficiently and accurately. 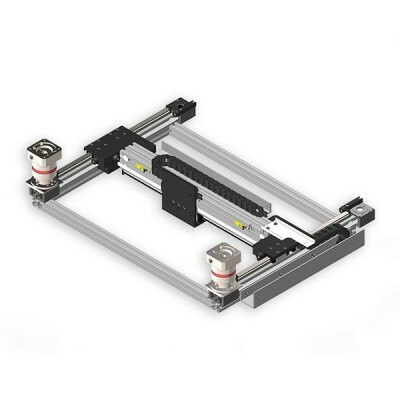 Myostat Motion Control Inc. copuples these and other Macron automation systems to the Cool Muscle integrated motor systems, providing complete 3 axis core X-Y and cartesian X-Y-Z gantry systems for pick and place, fastening, dispensing and cutting applications. Macon’s T-Bot and H-Bot line consists of four pick and place linear robots that can be configured based on x-axis and y-axis travel. The products operate on a single belt with fixed pulleys that drive both axes. They have a fixed, non-moving motor mounting location, resulting in a lighter weight, lower inertia, faster acceleration and deceleration, and an overall higher system performance. Contact Myostat Motion Control at +1 905-836-4441 for a demonstration or system quotation for these new multi-axis automation platforms. Myostat Motion Control Inc. couples the new T-Bot TBG-12 and H-bot HBG-12 with the Cool Muscle integrated motor systems, providing complete 3 axis core X-Y and cartesian X-Y-Z gantry systems for pick and place, fastening, dispensing and cutting applications. We recently demonstrated the target speed at over 1000:1, direct drive on a belt system. With Mark wobbing around on the carriage of the belt drive, likely the actual inertia seen by the motor was far greater.